For those of us that are in the baby fro phase it’s hard to find what works. Braids to the scalp with shorter hair tend to grow out less gracefully than longer hair because our lovely ends want air and will stop at nothing to wiggle out. The vets with over 6 inches of hair also find the struggle in coming up with something that we can keep for a while and still play. 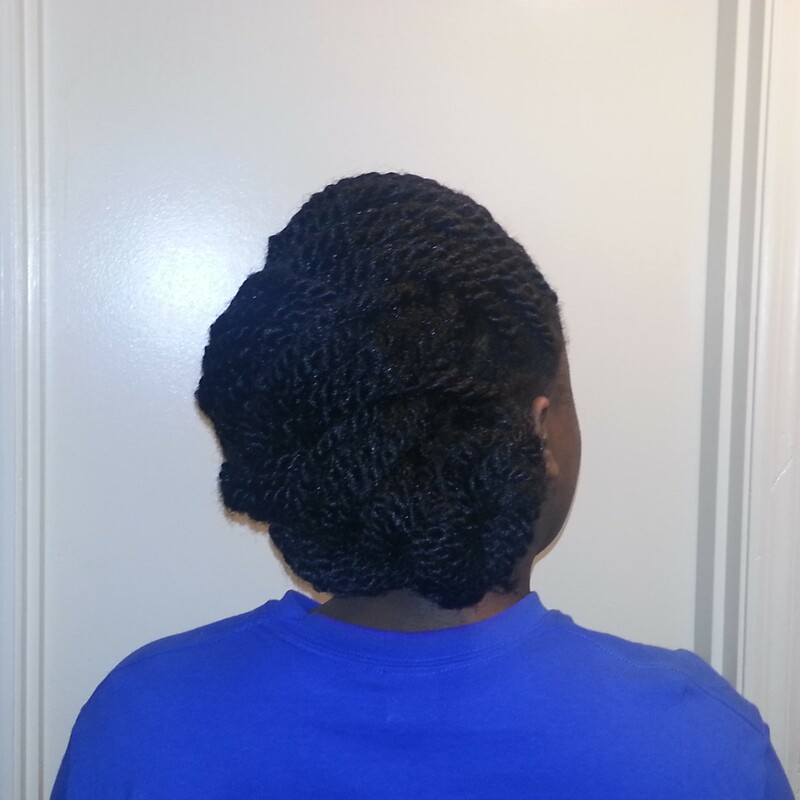 There’s hope in the two strand twist. Two strand twists are great to discover and embrace your hair’s curl pattern while rocking a style that just gets better with time. If you can use the Marley hair it’s a life saver. This hair will grip itself in a twist as well as hold on to your hair. I’m not a fan of twists that require an anchoring braid as it creates a very unnatural grow-out line of demarcation and if your remember from previous posts, you want to keep the curl pattern consistent from scalp to ends to avoid weak spots and breakage. 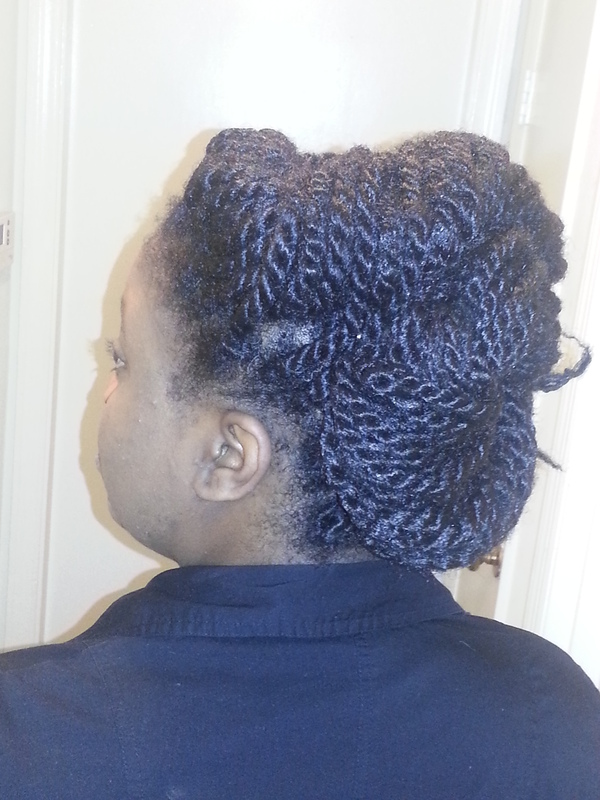 The technique I use incorporates the hair in a manner that relies on the integrity of the twist itself to stay connected to the natural hair (I just resize Havana Twists). Then the fun begins. The styles that are posted below are all achieved in less than 15 minutes starting from a head full of twists and they are inspired by African head wrap techniques to create shape and dimension. 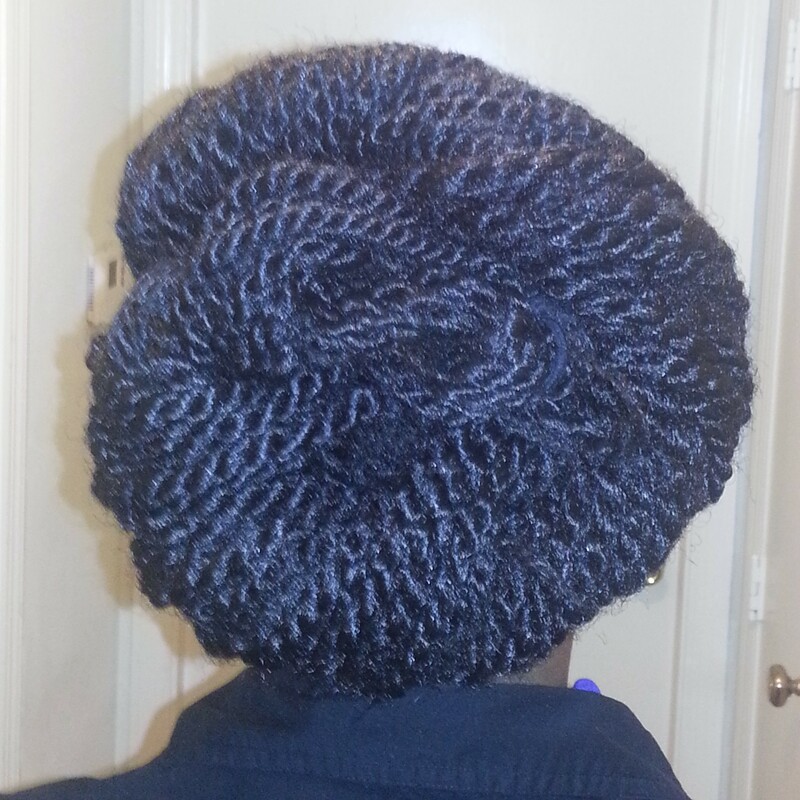 This style is achieved by using the flat twist technique loosely and in an S pattern starting at the front and completing the pattern in the center. 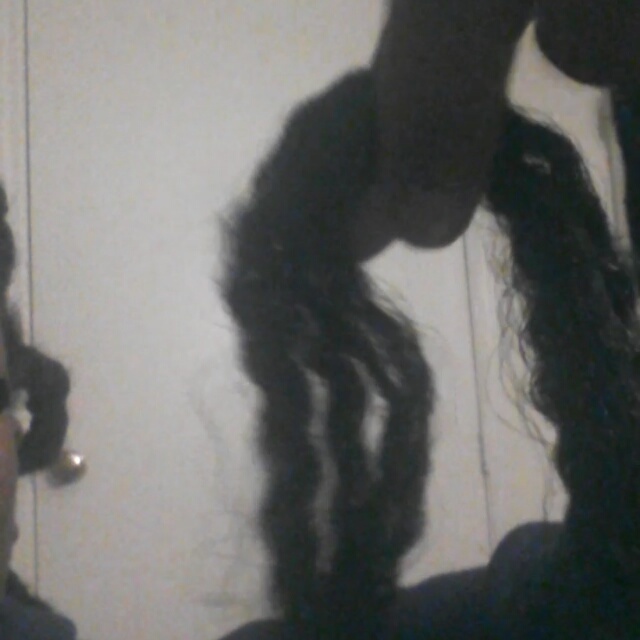 Secure the end with an elastic and hide the hair underneath the twist. (Style Time: 15) It only takes longer because as you can see on the picture on the right there’s detail work needed to be sure the style is smooth. 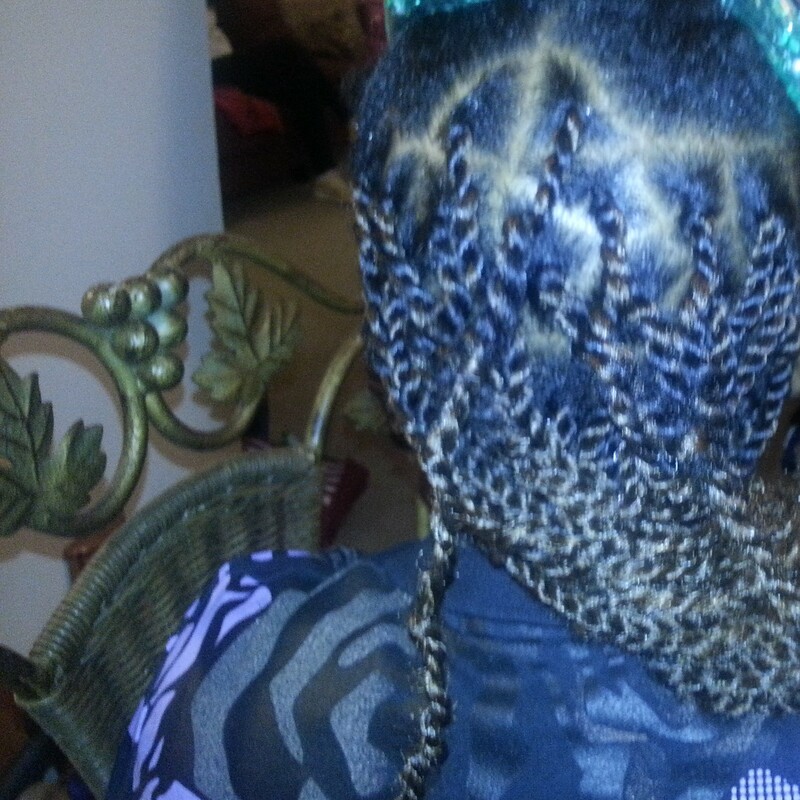 The Holiday Season is where we can have the most fun with different protective styles and up-dos. It’s the perfect time to hide your hair away from the harsh cold to maintain moisture and these styles are really warm. I couldn’t see trying this in the Summer. It got warm this past weekend which is what allowed me to crank out two quick styles. As always, ask questions if it stops making sense. Happy Holidays!